I hope your day is filled with balloons and lovebugs and sparkles. If you’re not on a hot date tonight (and I wouldn’t blame you because cringe), then I think a pamper is in order. You know, because you’re the most important person in your life and you need to feel fancy. That’s my plan for tonight anyway. Light a candle and set the scene. My favourite is Diptyque Baies because it makes my whole flat smell like roses. Amazing. There’s something so therapeutic about having a burning candle in the background, and it definitely adds to the indulgent ambiance. Nothing says ‘love me’ like wearing a black face mask that looks like tar and makes you look like the matchmaker in Mulan. Yup. If you want a real skin detox and treat, the trilogy mineral radiance mask gives such good results and doesn’t dry out the skin. For an extra bonus glow I love the REN wake wonderful overnight facial. It smells like oranges, stings a tiny bit when you apply it, and makes your skin noticeably brighter in the morning. Something else I’m loving at the moment, while we’re on the subject of pampering, is the La Roche Posay Hydraphase intense serum, which massively helps with my dehydrated skin. Mmm. My favourite treat for the lips is the By terry baume de rose because it’s like an actual moisturiser rather than another greasy balm. Plus, roses! So appropriate. Although pro tip is not to stick your finger in the pot straight after applying Luna oil because retinols burn your lips. They do. 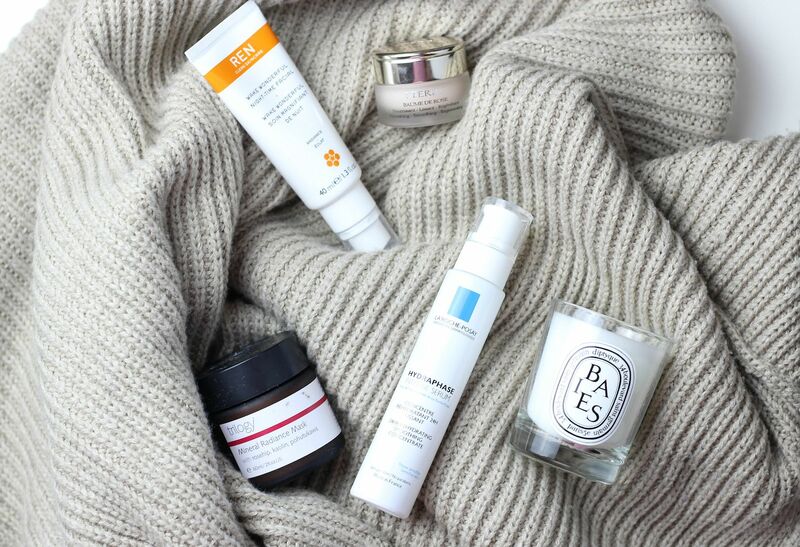 If you liked this post you might like this post on dehydrated skin 101 or this post on trying a ten step skincare routine.